Thakur Ranmat Singh (TRS) College, Rewa was established in 1944, is one of the oldest and reputed college in Rewa district of Madhya Pradesh as well as surrounding city Allahabad, Satna, Sidhi etc. This college is located in middle of Rewa city on NH-7. TRS College, Rewa was established as a unit of Durbar College, with affiliation to Calcutta , Allahabad, Agra, Sagar and now with Awadhesh Pratap Singh University Rewa. Govt T R S College, Rewa offers various graduate courses as well as Post Graduate courses. 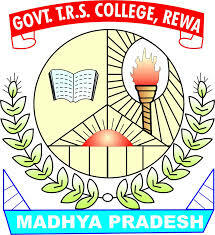 Govt T R S College, Rewa is affiliated to Awadhesh Pratap Singh University,Rewa. List of facilities available at Govt T R S College, Rewa for students. This page was last modified on 5 July 2014 at 13:07.